Tag Archives for " Anne Felicitas "
If you don’t upload a custom audience to your Facebook ads, pack your bags, leave, and forget about Facebook advertising. Without a custom audience, you can’t target an audience that is likely to respond to your ads and convert. A custom audience allows you to do one important thing: target a highly interested audience that has already interacted with your business. What Is a Custom Audience? A custom audience is a customer list that commonly contains the first and last name, phone number, and email of your customers. 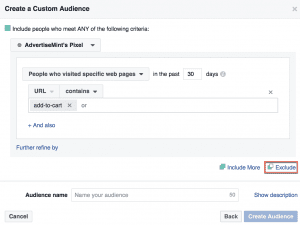 Once you upload your customer list to a custom audience and add the custom audience to an ad, Facebook will match customer information in the custom audience to the users on Facebook, allowing you to advertise to individuals that are already interested in your business. The type of custom audience described above is called a customer file custom audience, the most common and the most widely used custom audience. Businessmen and businesswomen new to Facebook advertising often only rely on that type of custom audience. However, you needn’t only use a customer file custom audience to enhance your Facebook ads. In fact, there are five ways you can supercharge your custom audience. Much like a sign-up sheet, lead ads, which often ask for users’ first and last names and emails, allow you to collect customer information on Facebook. You can download your lead ad data as a txt. or csv. file then upload it to a custom audience. 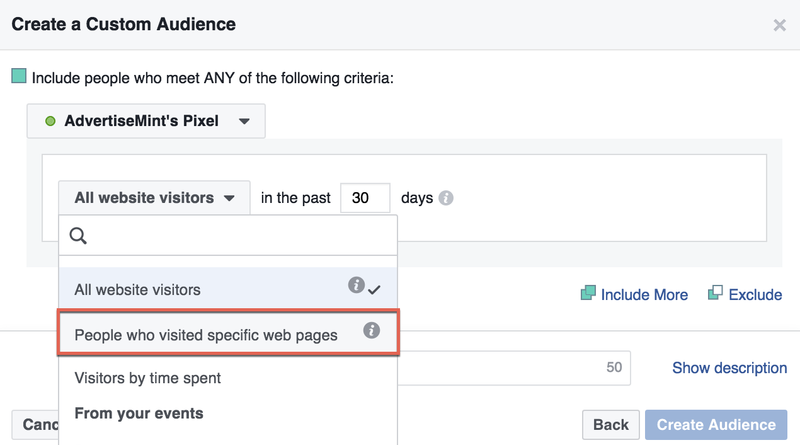 Using Facebook’s more than 850 targeting options, you can hyper-target your lead ad to a user most likely to respond to your ad. Because lead ads are optimized for mobile, users accessing your lead ad form are less likely to close the form due to slow load times and device incompatibility. Lead ad forms are prefilled with information taken from a user’s Facebook profile, allowing the sign-up process to be speedy and accurate. I recommend uploading a customer file taken from a lead ad to your custom audience because this type of customer file allows you to target mobile-only users you can’t otherwise reach with a traditional sign-up form. With a website traffic custom audience, you can re-market to customers who are on the brink of purchase, customers who added items to their cart but did not finalize the transaction. You can do so by clicking the “People who visited specific web pages” option when creating your website traffic custom audience. Then type “add-to-cart” to indicate that you want to create a custom audience based on people who have added to their carts. If you’re promoting your app on Facebook, and you’re not using the app activity custom audience, then you’ve placed yourself at a disadvantage. The app activity custom audience allows you to market to users who opened and took specific actions on your app. The app activity custom audience allows you to remarket to your existing app users, encouraging them to re-engage with your app. You can target users who opened your app, users who made a purchase, or users who have the most app activity. Because the users you’re targeting have already interacted with your app, you’re likely to receive responses from them. An engagement custom audience is comprised of a list of users who have engaged with your Facebook page, Facebook content, and Instagram posts. This is an especially great audience to target if you’re promoting your articles and blogs from your website. By using an engagement custom audience, you’re targeting users who are more likely to respond to your content because they have already engaged with your posts on Facebook and Instagram. Most think that targeting the same audience is a good idea. On the contrary, it’s an idea that can increase the costs of your ads while decreasing your ROIs. When you repeatedly target the same audience with the same ad, ad fatigue may occur, a phenomenon in which your audience overlooks or ignores your overused ad. As your ad runs with no conversions, your costs will rise while your ROIs plummet. To avoid ad fatigue, create a custom audience with exclusions. For example, if you’re targeting an audience that has already converted (e.g. purchased the product you’re promoting), it would be prudent to exclude that group from the targeting. You can exclude them from your ad by uploading a custom audience with exclusions. Simply click the “Exclude More” option at the bottom, then enter the keywords for the page’s URL which you want to exclude. When creating an ad, it’s important that you upload a custom audience to target highly interested individuals most likely to respond to your ads. Although the customer file custom audience is the most popular type of custom audience people use, you can improve your results by upgrading your custom audience using data from lead ads, website visitors, app activity, and page engagement. You can also improve your custom audience by excluding a certain audience. If your current custom audience is no longer garnering the desired results, try those five options. 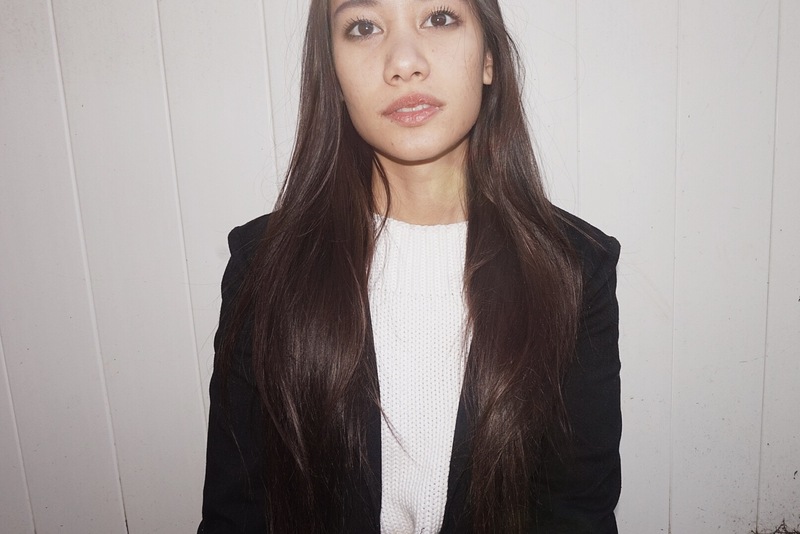 Anne Felicitas is the Editor at AdvertiseMint, a Facebook advertising agency. She is currently editing a book for AdvertiseMint titled “The Complete Guide to Facebook Advertising.” When not at her office, you will find Anne glued to a riveting murder mystery book or diligently posting on social media. If you add her (littlebananie) on Instagram, she might just add you back!